Subject to social insurance contributions? Do you need statutory health insurance? Take a look at our partner programs! You want to register or enroll at a German university as a student? Then student health insurance is required for you by law. The foreign specialists at Klemmer International Versicherungsmakler GmbH recommend membership in a statutory health insurance plan if you are less than 30 years old. This provides full health insurance coverage at extremely favorable terms. To make your search for optimum insurance coverage easier, we have reviewed the benefits of leading German health insurers. 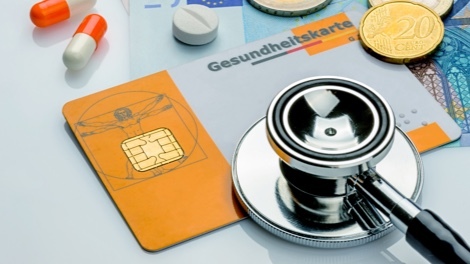 Klemmer International Versicherungsmakler GmbH has chosen the tailor-made health insurance concepts for foreign students in Germany from two renowned German insurers, and is able to offer you corresponding insurance coverage at extremely favorable terms. Check out the money-back coverage and multiple award-winning benefits, and apply for insurance today. Simply download the application as a fillable PDF file, fill it out, and send it with a passport photo and your certificate of acceptance to reise@klemmer-international.com. Your permanent residence is in Germany, or you are staying in Germany as an employee subject to social insurance? If so, joining a statutory health insurance plan is mandatory. Your welfare and that of your family is very important to us and we want you to have the best coverage. For example, you can co-insure your children and spouse with family insurance, exempt from contributions. We have reviewed the benefits of leading German health insurers so you do not need to spend a lot of time searching. With your International Students Identity Card you can now officially prove your status as a student. WORLDWIDE. But that’s not all: whether you go out to dinner with friens, travel by coach to visit familiy or go shopping, your ISIC opens the door to more than 50,000 discounts in over 125 countries.